Star Flare, a photo by ericwagner on Flickr. 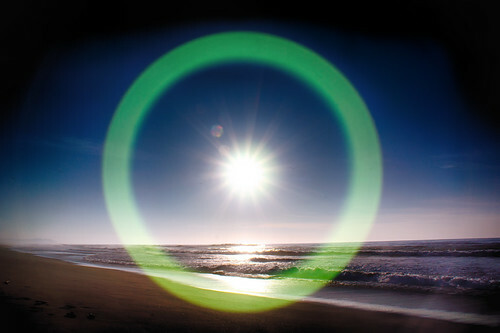 The light hit the lens just right for this ring of flare. Taken near Abbotts Lagoon, Point Reyes Seashore, California. If you look very closely you can see a flock of gulls seeming to fly into the sun. This entry was posted in Uncategorized on January 4, 2014 by eric.